Description: The main feature of our artichoke Pate is the simplicity of preparation and naturalness of its ingredients; enjoying the paté you can appreciate the real taste of artichoke. Recommendations consummation: The artichoke Pate is ideal for spreading on bruschetta and crostini; great is its use for pasta and to accompany white meat. 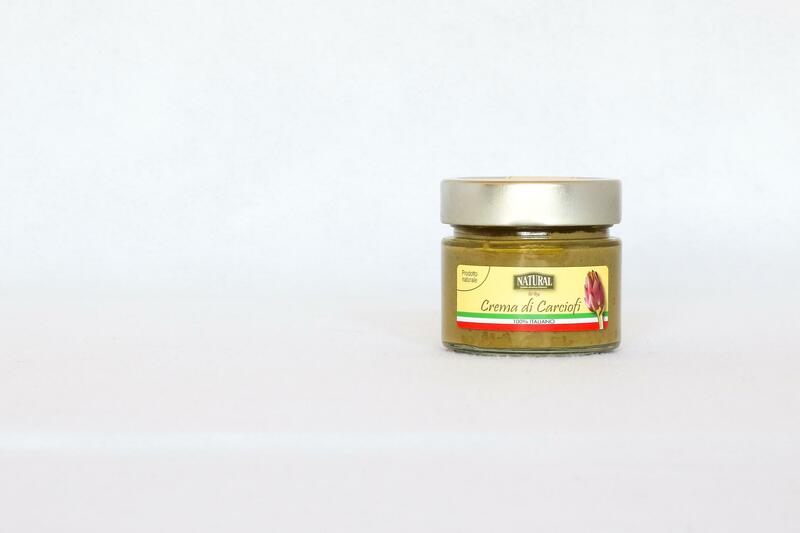 Conservation: After opening the jar of paste it is recommended to cover the upper part with a few tablespoons of extra virgin olive oil, so as to avoid oxidation of the product (due to the absence of preservatives in our products). Not necessarily should be kept refrigerated. Ingredients: Artichoke, olive oil, salt, vinegar. 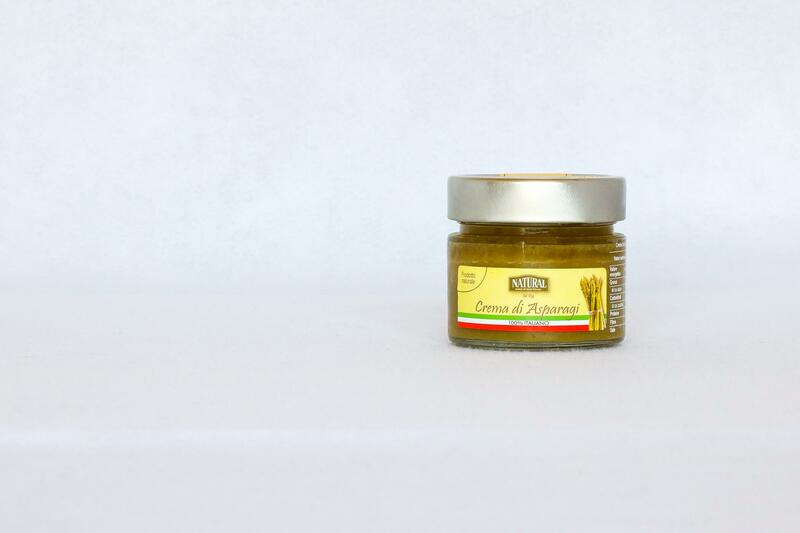 Description: Our asparagus cream is characterized by the unmistakable flavor of asparagus. In fact the preparation of cream of asparagus is done with simple and natural methods allowing them to maintain the real taste of asparagus. Conservation: After opening the can of cream it is recommended to cover the upper part with a few tablespoons of extra virgin olive oil, so as to avoid oxidation of the product (due to the absence of preservatives in our products). Not necessarily should be kept refrigerated. 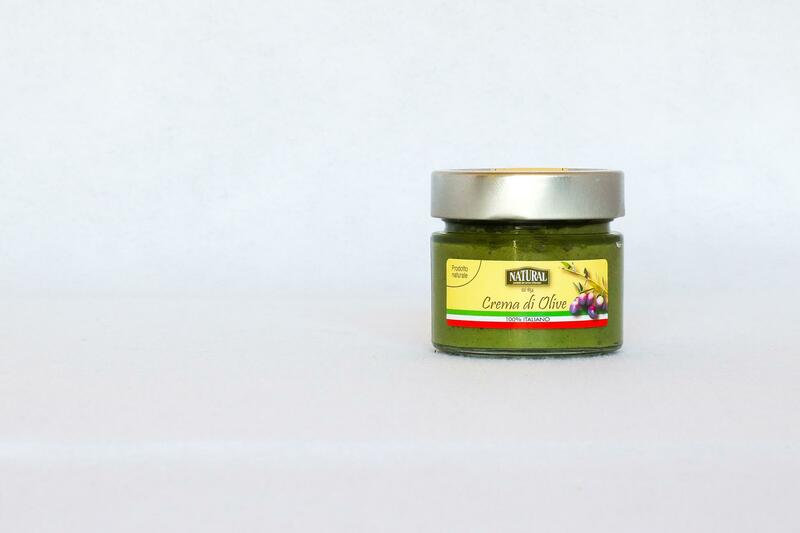 Description: "Our Olive paste is achieved without adding any preservative; its natural ingredients are the black and green olives and extra virgin olive oil. The olives are introduced in a special machine capable of separating the crux of the olives from the pulp, which is then crushed and reduced in cream. To this we add the extra virgin olive oil as a single storage element. 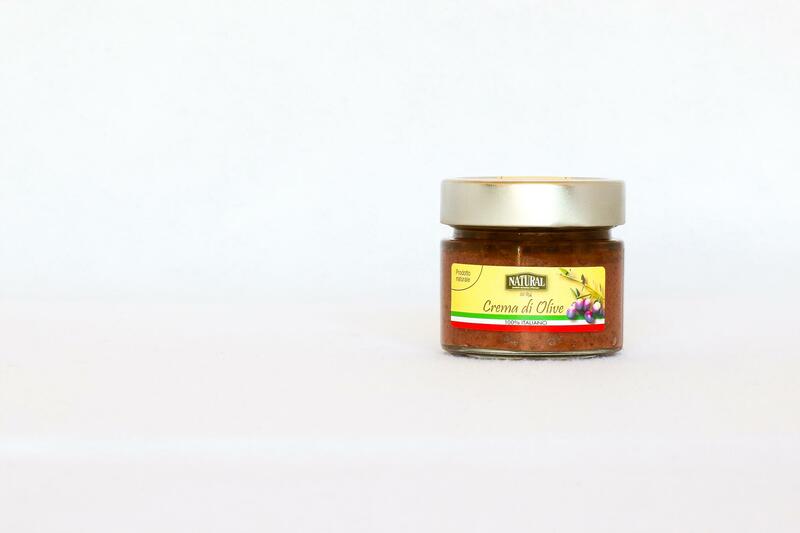 The line of Pate of Natural black olive paste version includes both that of green olives; both have a strong taste that makes you appreciate the true taste of the olives. Recommendations consummation: The Olive paste is spread on bruschetta and crostini; great is its use for pasta or to give a strong flavour to the gravy. Try our paté with pasta, a genuine and simple way to savor the full flavor of the olives; boil the pasta and drain into a suitable container, add to taste some teaspoon Pate and here is a just a condiment for a light and tasty pasta. If you want to make a soffritto of onions and tuna, join some teaspoon Pate and pour in the pasta. Ingredients: Olives, olive oil, salt. Natural uses cookie for a better experience. If you don't leave this site you will accept therms and coockies condition .